WINTERSTONE Casting 2000 is a new formulation suitable for a variety of art-related and commercial casting applications, and architectural restorations. It has improved strength and shrinkage resistance with fine detail reproduction capabilities. It is ideal for casting of thin shell multi-dimensional or baf-relief forms either by “slush” casting or “lay-up”. 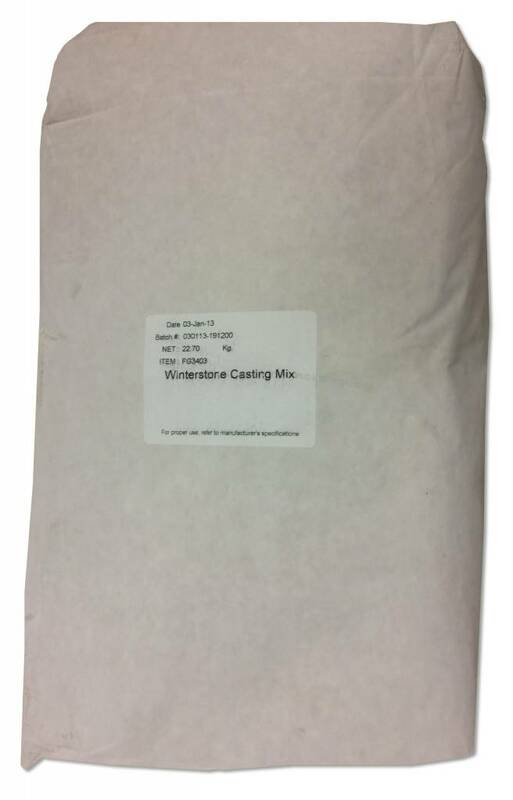 WINTERSTONE Casting 2000 is a dry white powder ––– a complex multi-component cementitious mixture ––– which when mixed with a nominal amount of water and cast into a mold sets into a stone hard material with faithful reproduction of detail. The hardening process is a result of the internal reactions taking place between the water and the various components. The inclusion of proper reinforcing mesh, either metallic “ hardware cloth ” or alkali resistant fibreglas, as backing to the casting; or chopped strand (e.g. fibreglas, polypropylene) mixed integrally into the back-up mixture produces a structurally sound composite “ shell ” with increased strength characteristics. This surface “ shell ” combined with proper back-up reinforcing rods ( particularly in larger 3 - dimensional sculptures or bas-relief panels ) results in a light and efficient overall structural system and allows considerable freedom in complexity and intricacy of shape. WINTERSTONE can be integrally pigmented during the mixing stage or can be externally patinated after de-molding. Hardened WINTERSTONE can be refined with abrasives and polished if necessary. Finished and sealed WINTERSTONE is weather stable and may be founded in an outdoor environment. With proper care and maintenance it can be expected to last many years. WINTERSTONE is easily prepared by mixing water in the ratio of 18 to 19 parts by weight of water to 100 parts by weight of dry mix. ( This is equivalent to an approximate volumetric measure of 21 to 22 parts of water to 100 parts of loose dry mix. 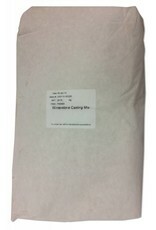 The dry mix in the supplied bag is generally compacted due to shipping and handling.